It’s that time of the year when the famous Henley Royal Regatta returns for a period of five days over the next few days from Wednesday 30th June to Sunday 4th July. Henley Royal Regatta has been taking place annually since 1839 and stands out from many other international regattas, with a total of 19 different events taking place across the five days. This prestigious rowing event involves knock-out head to head races over the 1 mile 550 yards course which is meant to take approximately seven minutes. I have recently joined team tactics and was delighted when Tina asked me on my first day to attend Henley Royal Regatta for a PR day on Thursday 2nd July. 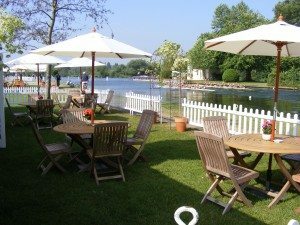 This will be my first time attending Henley Regatta giving me an opportunity to soak up the glorious atmosphere and see the beautiful River Lounge marquee situated opposite Temple Island, which famously marks the start of the Henley Royal Regatta Course. Hospitality at Henley Royal Regatta is one of our most popular and luxurious events and I am very much looking forward to being a part of it this year!